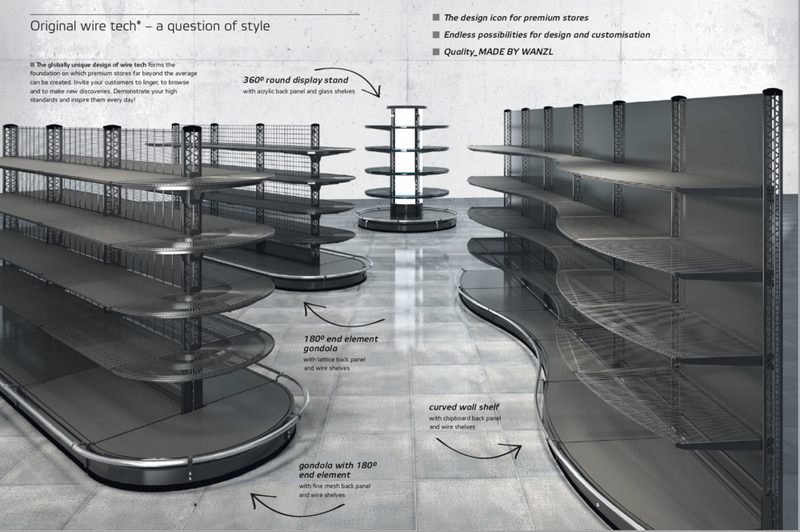 Wiretech shelving from Wanzl has been designed to give maximum shelf presentation flexibility. With the ability to provide curved or round displays as well as gondola ends, this shelving range is recognised as the design icon for stores. Designed for quick and easy installation. Click here for detailed brochure.